How was your weekend? I hope you all had a wonderful time with your loved ones. I took some time off from blogging and sewing and spent time with my family and it was a lot of fun. I made these rings about week ago, and they have been my favorite lately! I found these at the scrapbook section at a craft store. They are not made for making jewelries, but if it seems a good idea, I have to give it a try. And it worked! They were such fun links to go through! I have noticed many recipes including some salad recipes. I bet they are perfect for the get togethers during the summer too! Do you have any fun plans for the Memorial Day weekend? Whatever is going on in your life, I hope it is good. I have been spending nice quality time with my family since Friday night. We are also planning to work on our garden on Monday. The funny thing is, sometimes kids enjoy the most plain, simplest things rather than big vacations. They are so looking forward to going to the nursery to pick out some plants for our garden on Monday. I am planning to have a picnic in our backyard after the yard work with some sandwiches and lemonade (I haven't told this to the kids yet... who knows, mommy changes her mind and rather go through a drive-thru). I know they would like that. It was hard to choose only five from so many wonderful projects... but here are the link loves for this week. A belt such as this would add such an effect to a dress. Me Sew Crazy shared this charming window belt. This technique is often used for quilt making, but I never thought about using it like this. Very unique and pretty! Jengerbread Creation shared this tutorial on how to make this beautiful necklace. Her step by step tutorial is very easy to understand. 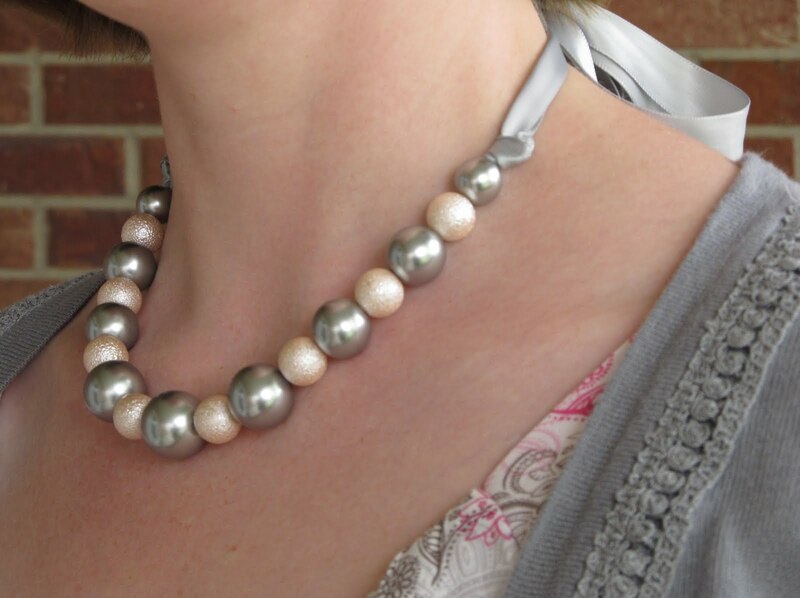 You could do two or three different types of pearls like she did or just use one type of pearl to make a necklace. This would be a great way (and inexpensive way) to spice up your summer wardrobe! When I saw the picture, I seriously fell in love with this! Acu's Stiletto Shoes, and Pretty Pink Tutus shared this one of a kind jewelry holder. 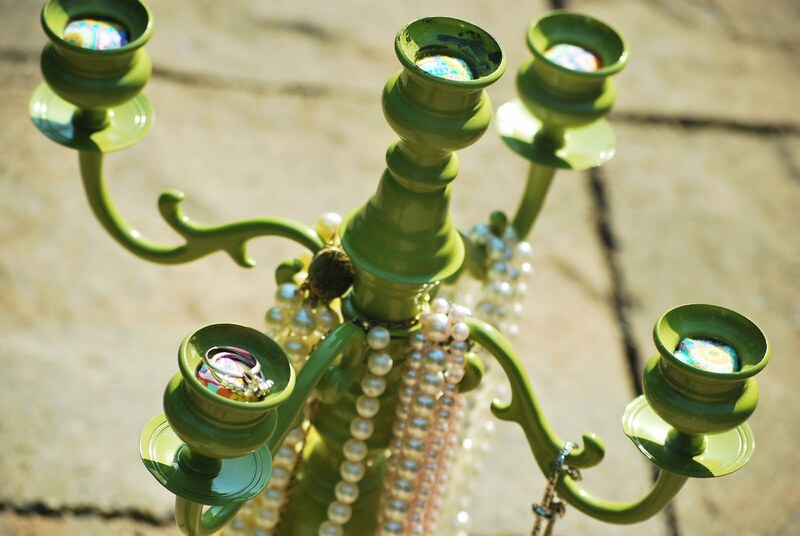 She used a vintage candelabrum her grandma gave to her. 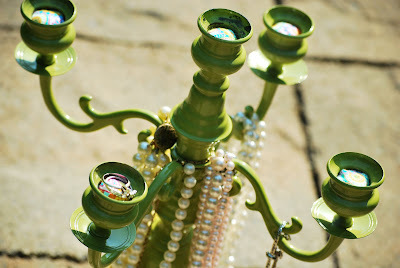 With spray paint, and a little bit of imagination, she found another use for the candelabra. Simply gorgeous! What?! Has it been two weeks since the meet up already? Where did the time go? I am going to share some of the pictures today from the meet up. I have never been to a blogger's conference, meet up, or anything. This experience was totally new to me. 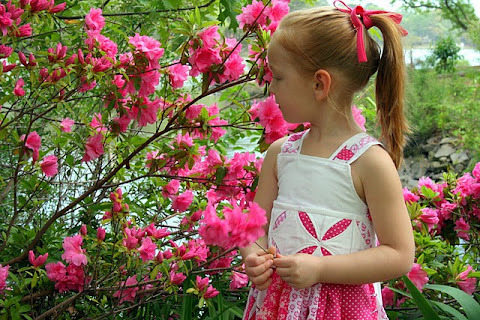 I have met many people that I knew from blogland in person. They truly exist! The meetup was held at the Blue Lemon in downtown Salt Lake. What a fun place to go to. Other girl's that I talk to from left; Char, me, Sabra. It was fun to get to know them in person; good times girls! 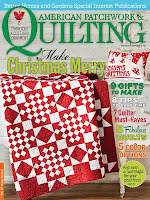 Allison, I always admired her quilts; it was so fun to meet her in person. I wrote about her little bit before after the earth quake in Japan. April was the one that coordinated the quilt tying event. I was so excited to meet her again. Sherri and I. I found her blog pretty much shortly after I started blogging. She is always so nice and generous with her words and comments. She is one of the people I have always wanted to meet. She was so sweet in person as well. There are a few other people that I took picture with but they were blurry. Amy and Calli put so much time and effort to bring people together at this meet up. It was a great turn out, thank you so much you two! 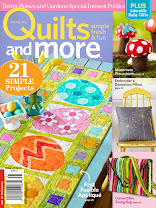 Before we will start our link party, I will share some more pictures from the Quilt Market. Riley Blake's booth had this frayed edge apple core quilt displayed. 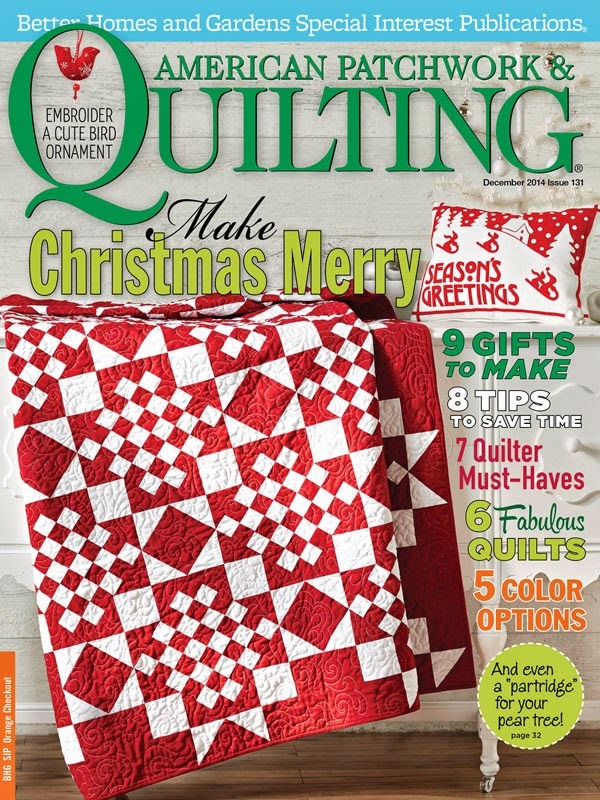 What I love about this quilt is that it has a simple design but with a twist. The colors are so fun too. I don't know why I didn't take any pictures with them, but I LOVEed the booth of Joel Dewberry. He and his (stunning) wife were so nice and fun to talk to. Their new fabric line was filled with vibrant colors. 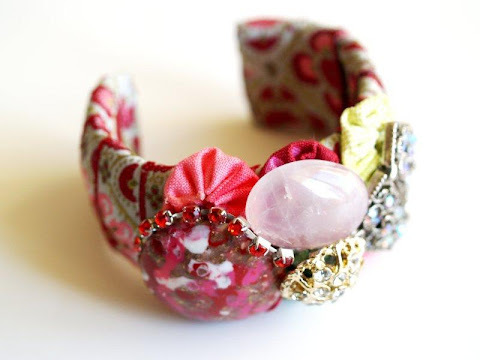 I have my eyes on "Rose Bouquet" (Sepia and Jade), I dreamed of making a summer dress out of them. Another amazing designer I took picture with was Jennifer Paganelli from Sis Boom. Unfortunately the picture didn't turn out very good(SOB!). I love her use of colors and gorgeous designs. I bought a couple yards of her fabric last summer, planning to make a top for the summer and it never happened. 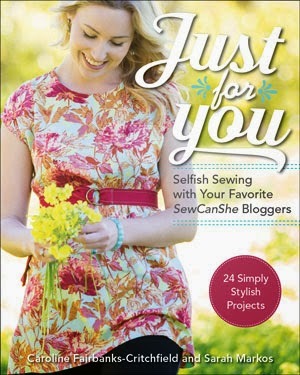 Meeting her made me wanna start sewing right away! There are a couple other designers that I really really had to meet... the first person was Sarah Jane. I have been a fan of her art work for a few years now, in fact, the one I fell in love with is hanging in Rachel's room. 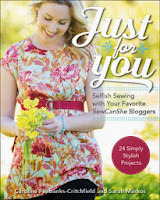 Now, she has embroidery patterns and her first fabric line through Michael Miller! When I first found out about this I was so excited! If you know her work, I probably don't need to tell you how cute her embroidery patterns are. Also, these fabrics... they are so sweet and fun! I know I will be getting some for me later! Check out her booth. It was just so lovely and so detail oriented. Her booth was one of my favorites. Sarah Jane and I... she is so nice and fun to talk to. Another designer I admire and wanted to meet was Sandi Henderson. 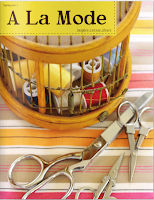 Her first book "Sewing Bits & Pieces" is such a fun book filled with great projects using scraps. I love her unique design style. Her fabric line from Michael Miller is just stunning! When I asked her if she would take a picture with me, she suggested that we sit on this beautiful bench together. Really? Is that ok? I thought these chairs were display only. I was so giddy but settled my bottom softly so I wouldn't disturb the decorative pillows... That is the least I could do for her kindness. Let me just share more pictures of her booth. Sigh....isn't everything gorgeous? I want to live in this booth if that is allowed. I had such an amazing time at the quilt market! I am so glad that I got to go. Big thanks to my friends who went with me and above all, to my sweet husband who took care everything so I could go. :) I am all done with pictures from the market, BUT, I have some pictures I would love to share from the blogger's meet up at the end of this week. Ok, go ahead and start linking. I can't wait to see your creations for this week! I should have posted this right away, but I already had some scheduled postings and I seriously had a "quilt market hangover" for a week. There was so much to look at and so much to process, at the market. I was overwhelmed by the amount of people and beautiful fabrics, and not to mention all the amazing people I have met. I went through my pictures, and there are quite a bit, so I am going to break it down and post them throughout this week. Are you ready? When I first went inside, I was standing there for a while...I had no idea where to start! I looked throughout the Guide book and thought, I will mark all the booths that I want to visit... NO, there are too many! I decided to start moving. Oh, one more thing, Amy was wearing really awesome boots. Another of the designers I met was Jennifer from Monaluna. Her fabrics are so fresh and cute! There are several fabrics that I love, and I wish I still had a little one at home to make something for with her fabric. She was also very nice and fun to talk to. You might get to know her in my future post. (hint, hint ;) ). I want to make this quilt for my little girl's room... Sandy from Pine Mountain Design has adorable stitchery work that I have admired for years and I was so excited to get to meet her! I found this booth and loved everything I saw! 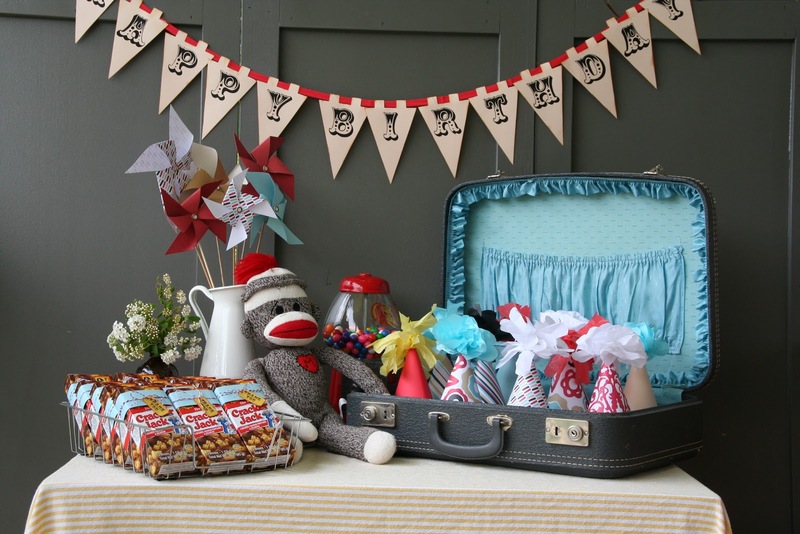 Rebekah Merkle designed a fabric line called English Swings. They are so gorgeous! Meet Kaari. She is an amazing creator and designer of French General. I love the jewelries she creates, they are so unique. She has a magic touch of making something amazing out of vintage notions and such. I love her fabric lines, in fact I have some, but I am having a hard time cutting them to make something. You have no idea how many times I flipped through the pages of her books (I own Handmade Soirées and Home Sewn) before I went to bed. Yes, she is one of several designers that I wanted to meet too! She was so warm and down to earth, I was just so giddy! I found this quilt at the Art Gallery fabrics booth...isn't it so pretty? Oliver + S's booth was as fun to look at as I imagined. I love her fun contemporary sewing patterns for kids. Wow...this post is getting really long. I have a lot more to share in my next post, so stay tuned! Note: I asked permission to the designers to take pictures of their booth and post the pictures on my blog. I really appreciate that you guys keep coming back to participate. Thank you! I saw many new faces this time; it is so fun to meet you all! Ok, here are the link loves for this week. 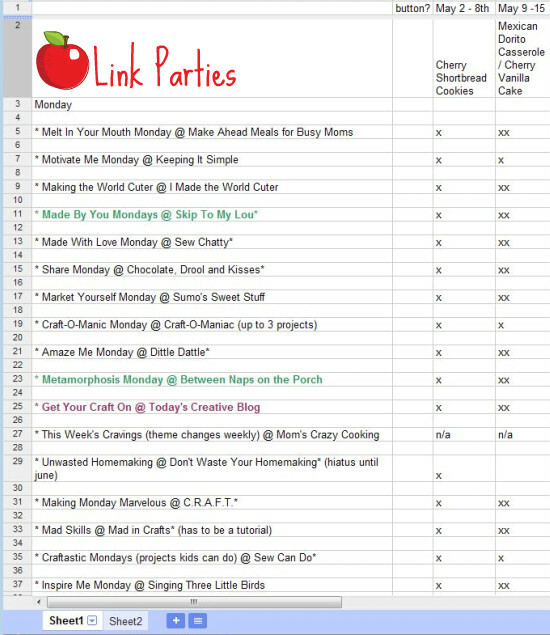 There are SO MANY link parties out there, how do you manage to keep track of them? Jam Hands has a great solution! I think she is so clever and organized, go check out her post to find out what she does. Sarah from Welcome to a good life turned a thrift store find skirt into a vintage inspired bowtie skirt. I love the color of the skirt and how well she constructed it. What a beauty! I have seen so many fabric flowers, but Running With Scissors shared an amazing tutorial on how to make more real looking intricate fabric flowers. I can think of so many different ways to incorporate flowers like this in to my clothing design. Thank you for sharing! Are you looking for a perfect skirt for the summer? 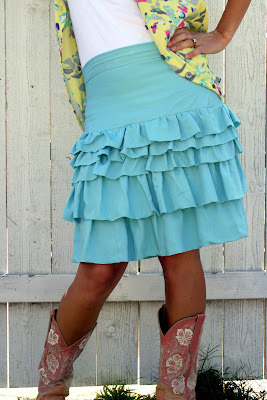 iCandy shared this Ruffle Equation Skirt tutorial. I love how this skirt looks! Isn't is so pretty? I would love to have it in different colors! 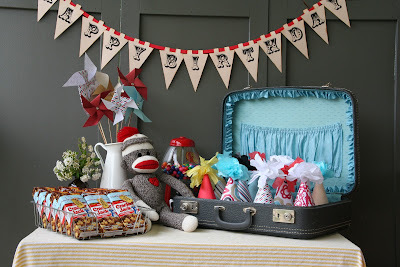 Thank you so much everyone for another fun link party! Lovely Kathleen over at Grosgrainhas been doing Free Pattern Month. 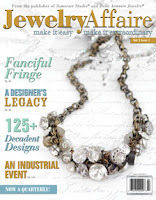 There are new patterns every day from various awesome bloggers. It has been a very fun and exciting event! I admire Kathleen’s work so much! She not only is an amazing designer and seamstress, she is a very talented photographer too. Browsing her blog is like looking through an Anthropology catalog, I forget the time (or housework like cooking, cleaning and pulling weeds...) for a while. She asked me to be on the board and participate in the free pattern month! When I read that email, my heart skipped a beat. I wanted say yes right away, but I was so scared of messing things up for her. I have never done a DOWNLOADABLE PATTERN before. She told me it would ok, but I really really wanted to try it. Of course I dragged my sweet hubby into it to figure things out, but we (he) did it!! Tea Rose Home’s very first downloadable pattern! I came up with the Neapolitan Dress, the tutorials for sashing and babushka too. 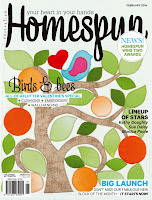 So, I hate to kick you out, but please head over to Grosgrain to check out what I did. I would love to hear from you! I meant to share this picture right after the mother's day. Things kept happening and I totally forgot to do so. I made this necklace for my sweet Mother-in-law. I shared the picture of one of my favorite necklaces with you a while ago, right? She happened to LOVE that necklace too. Every time when I wear it, she will compliment it, but she told me that she can't wear gold, she said that the color does not go with her skin tone. When I bought the necklace at Anthropology, they had the exact same necklace in silver. I loved them both... it was a heart wrenching (ok, maybe not that much) decision to make, I finally decided and bought the gold one. If I had known she would love the necklace that much, I would have bought it as a future gift. I went back, it was all gone. I couldn't even find it online. Before Mother's day, I found a necklace that I thought that I can modify it, to make an interesting necklace she might like. That's how I came up with this necklace. 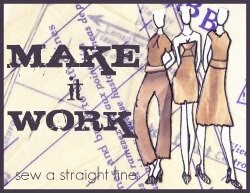 Hi all, Just as I mentioned in my last post, I am guest posting at Sew a Straight Line tomorrow morning. I did an easy to do t-shirt refashion for the post, I would love it if you would visit her lovely blog to say hi and leave some comments for me! I hope you will enjoy the tutorial. There is a two page long interview I did with the editor, and I did a refashion tutorial too. 1. Click the picture which will take you straight to her blog. 2. Click the book in the small box, and you will see picture of the pages underneath. 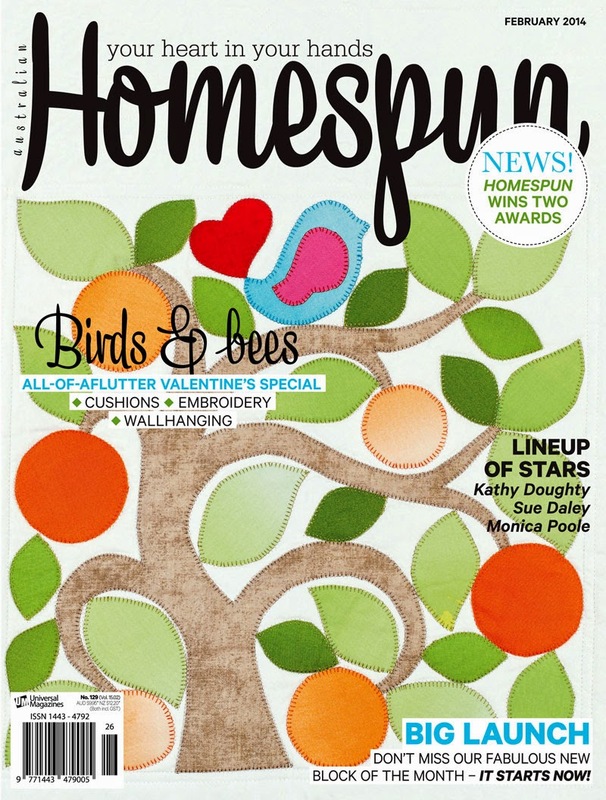 I am not really familiar with online magazines, but this is pretty neat, don't you think?